A discussion took place online between three gentlemen following the demise of Peter Tork on 21 February. Here we share the fine details. 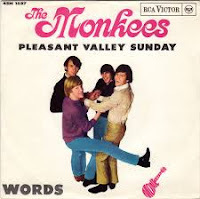 I've just seen that a second Monkee has passed away: Peter Tork. They were my favourite group in 1966. Loved the TV series. Still have the singles: I'm a Believer and Last Train to Clarksville are classics. Alternate Title was enjoyably wacky. I was not really up for seeing them as old men on the reunion tours but then Davy Jones suddenly passing away was a real jolt and now another sad moment that seems like a door shutting on our thrilling pop-filled youth. Yes, the passing of our heroes really brings home the ravages of old-age! Just now my band Sweetwood decided to try out I'm A Believer after our last session as next new song on the setlist. My memories of The Monkees are faint. I must have seen a few of the episodes at the time, but not regularly as my parents did not see the use of a tv at the time. I do have a comic book, still, on The Monkees adventures. Fairly luxurious with a hard cover as well. It's somewhere on the attic. Musically I still think several of the hitsingles are fantastic. Very interesting piece, Wout - talk the Tork! 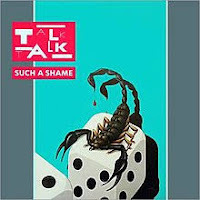 I don't know much about Talk Talk - just a vague memory of John Peel playing them on his daily radio show which I listened to every night throughout the 1980s. I just did a search and found this: https://www.johnpeelcentre.com/john-peel-s-hidden-gems-no-20-spirit-of-eden/ So I probably have a few tracks of theirs on the cassettes I recorded off his programme . These are in a box in the garage awaiting dusting off when I get round to putting some order into my archive - after I retire next month (31 days to go till "no more six o'clock alarm"! Tork played the piano on Daydream Believer actually). I might also find the time to make it to one of the gigs at the John Peel Centre in Suffolk. His widow Sheila is a sponsor of that venue and she completed his autobiography which was writing when he died suddenly during a trip to Peru. I bought a copy in a charity shop a few weeks ago: an interesting read takes you via anecdotes through the shifts in pop trends during the 60s-90s. I had a close encounter with Peel when cycling home from work one day, he pulled alongside me at the lights in Portland Place near the BBC. He had an ageing but impressive Mercedes Benz which was a left hand drive import - so it was indeed a close encounter! I'm still looking for a decent vinyl copy of the Fall sessions that they did for his programme - a BBC release it can be rather pricey on eBay. Talking of rummaging in charity shops which as you know I can't resist doing, I bought a perfect copy of the Zorba The Greek soundtrack e.p. for just 50p last weekend - wonderful sound with an unmarked picture sleeve featuring Anthony Quinn arms out...... It's a nice companion for my Never on Sunday e.p. by Melina Mercouri - which makes up the sum total of my collection of Greek records! I also recall around this time the unbelievable news that Jimi Hendrix opened for The Monkees on one of their tours…. I still can’t get my head around that one to this day! Yes, With Davy Jones (who I can still remember being in Coronation Street in black and white… God that makes me feel old!) and now Peter Tork gone… memories of my tender youth has also disappeared! Sad… but I suppose all part of experience of the human condition? I am enjoying retirement and I think you will Mark! I hope you both have a great day! How fast things go in popular life is shown by the Twitter account of The Monkees. Peter Tork may not even be buried or cremated yet and "The Monkees present The Mike Nesmith and Micky Dolenz experience" tour. What I remember from Davy Jones is that he was mentioned as the grandson of the Ina Sharples character in Coronation Street. A series my grandmother used to watch. I remember how different the street looked from what I was used to over here. Now I understand he was in the series, so not the real grandson? And that David Jones became David Bowie because of Davy Jones or so I read once. Funny you both only have scant recollections of Talk Talk. Of course that were my, belated, college days, so its music was around everywhere. Like Tears for Fears, Simple Minds, Talking Heads, The Waterboys and Marillion and for a short while Everything But The Girl. 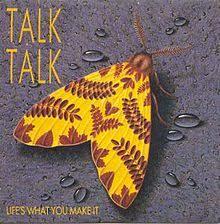 Talk Talk definitely was up there with those bands in the mid 80s. I played a greatest hits cd, I totally forgot having, yesterday evening after writing the blogpost and was remembered that several of their songs are actually quite good. Soon the two albums I have lying around and that cd 'Spirit Of Eden', that I could not get through in 1988, will get a spin. I decided to push back my retirement plans for some time. Too busy having fun working and doing things like this on the side whenever I feel like it. I notice I forgot to respond to the Zorba record, Mark. It is in my collection for 30 years this year from the collection of one of my late aunts who passed away then. Zorba the Greek always made an impression on me when I was a small kid. The way the song kept going faster and faster, spinning around until I got dizzy. Now I would probably through up within seconds if I tried anything like it. And Gary, that is an impressive The Monkees record collection. I profess not to have more than one or two singles, second hand, and a Greatest Hits collection from 2001. Now, in 2019, it does not matter any longer who exactly wrote and played what on the records. 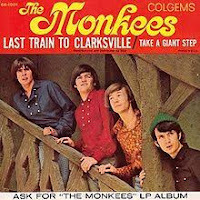 The hits of The Monkees are timeless pop gems that prove to last through the decades and will for a couple more I'm sure. Tonight we are practising I'm A Believer for the first time. Ought to be a piece of cake and real fun to play.